OUR FIRST EVER DEVON’S KITCHEN IS NOW OPEN! We are thrilled to announce that we have opened our first Devon’s Kitchen cafe and takeaway service! 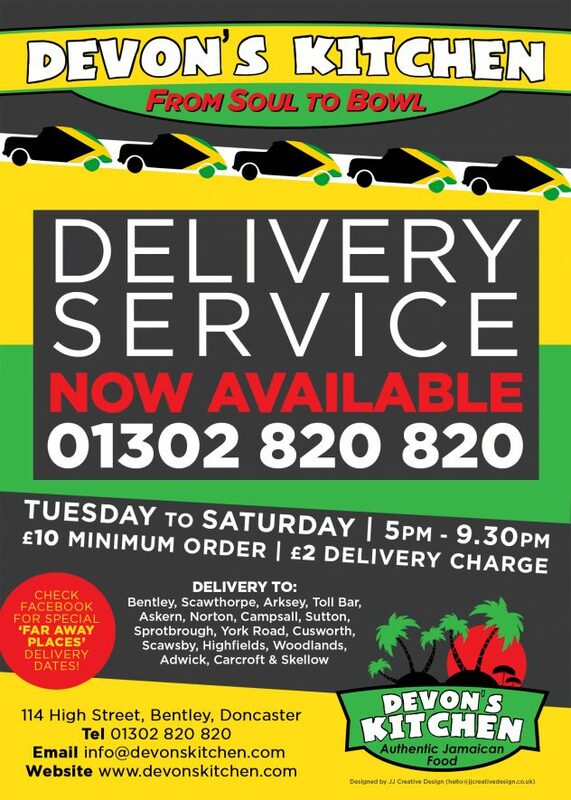 Located at 114 High Street, Bentley, Doncaster DN5 0AT, the Kitchen provides a real authentic taste of Jamaica. We offer a take-away service and have seating if you wish to eat with us! We are so appreciative of all the wonderful feedback and reviews we have been receiving and we hope you love our food as much as we love serving it! A selection of our fantastic Facebook reviews! Authentic cooking and tastes amazing. You won't be disappointed! Amazing food, everything we tried was delicious. Dedicated and hard-working staff. Definitely recommend. OMG this is my new favourite place me and my wife ordered some food from here tonight, amazing is not the word more like EPIC, beautiful fun and friendly people. Will be ordering new years eve thank you for the amazing food. Called in tonight for a feast for 7 of us. Had jerk chicken, curry chicken, calaloo, oxtail with butter bean, curry root veg, chicken wings and dumplings. Wow! Absolutely gorgeous. Will definitely be back to try the rest of the menu. Amazing people, fantastic service and properly yummy tasty food x thank you for keeping our guests happy at our wedding party, you 2 are awesome! And food is delicious.... I need to follow you!! 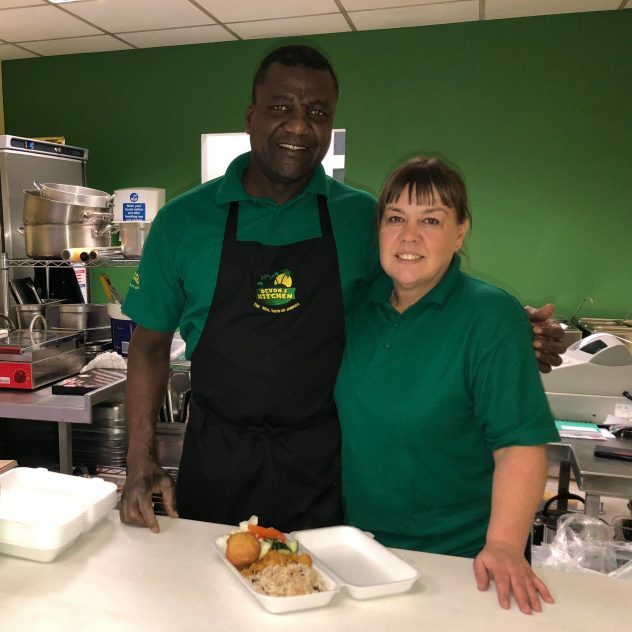 Devon and Jane welcome you to Devon’s Kitchen, a new authentic Jamaican cafe, takeaway and outdoor catering company located in Doncaster, South Yorkshire. Great if you want your favourite dish but also want to try something new! Lunch Specials are served between 12-4pm. Choice of Peri-Peri Chicken, Jerk Chicken, Pulled Pork, Jerk Pork or Roast Veg (v)^. Includes Fries OR Salad. Want Cheese? Add 50p! Choice of Vegetable, Beef, Chicken, Lamb or Salt Fish Patty.